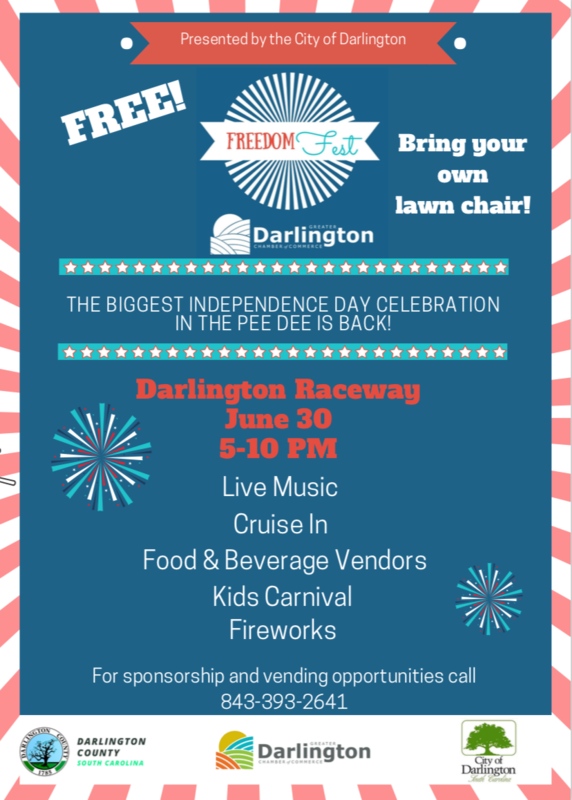 The signature event of the Greater Darlington Chamber of Commerce is Freedom Fest- our annual Independence Day celebration and fireworks show at Darlington Raceway. The event started in 2014 with over 12 thousand in attendance and has grown each year with attendance totaling over 20 thousand. The annual festival has hosted bands such as Ousthyne and Sister Hazel and drawn crowds in from all over the south east. Freedom Fest not only offers live music and fireworks, but also vendors selling a variety of foods and merchandise. Vendors have come from around the state, as well as neighboring states North Carolina and Georgia, for a chance to sell their product at the famous Darlington Raceway. They often bring friends, family, and kids- who enjoy the numerous carnival rides and games at the festival. 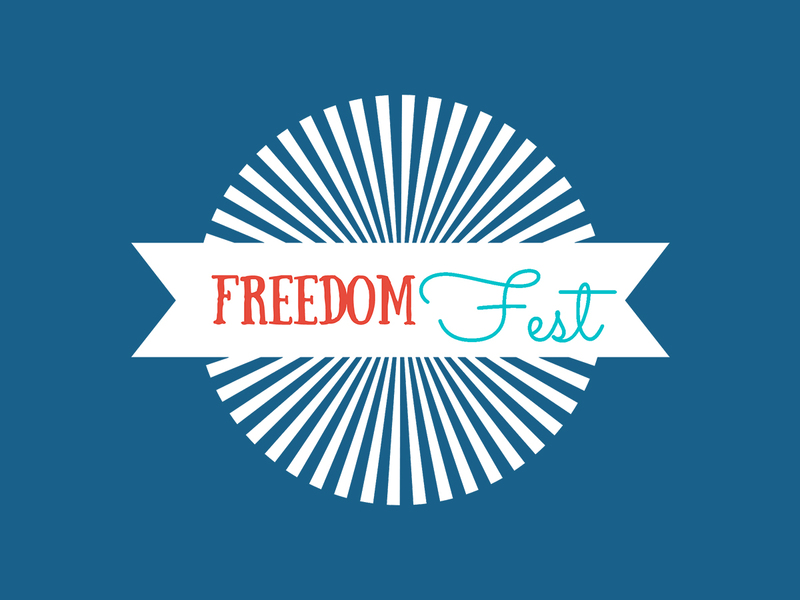 There is something for everyone at Freedom Fest, and the community looks forward to it each year. At the end of the day, the brave young men and women, past and present, who serve our country are honored with a military appreciation service. Freedom Fest wraps up with the biggest firework show in the Pee Dee, displaying an extravagant 20-minute show of vibrant fireworks. Each year, guests come back to celebrate Independence Day with us, and each year we strive to bring our community the best Freedom Fest ever. FREE EVENT! Join the Greater Darlington Chamber of Commerce for our 5th annual Freedom Fest at Darlington Raceway presented by the City of Darlington! The event will include food and beverage vendors, merchandise vendors, kids carnival, live music, and FIREWORKS all at the track Too Tough To Tame. The event will start at 5 PM; fireworks will begin around 9:30 PM. Vendor and sponsorship opportunities are available! Call the Chamber at 843-393-2641 for more information.